Since doing the juice cleanse, I have been craving lasagna. I knew it was only a matter of time before I made one. I happened to have 2 small squash(es?) from my veggie share and wanted to use them up, so this recipe was perfect. It is a little bit time consuming because you need to make the squash mixture, the spinach mixture and cook the noodles. If you cook the squash in advance that would save a lot of time. 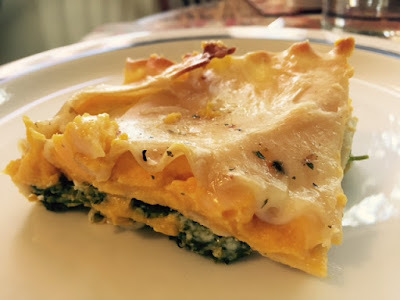 I always try and make recipes healthier when possible so I used skim milk and light ricotta. I also used a bigger pan, so I wasn't able to do as many layers. I put one thick layer of spinach mixture rather than two thin layers and two layers of squash rather than three. 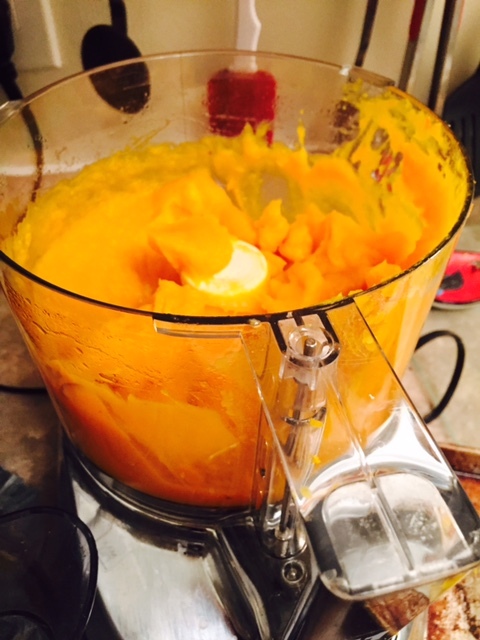 Using food processor, combine butternut squash puree with Ricotta cheese, milk, salt and nutmeg. Add more milk if desired to make the butternut squash filling very creamy. Mix very well, taste and add more salt, if needed. Combine spinach, Ricotta cheese, mozzarella, garlic, salt and pepper. 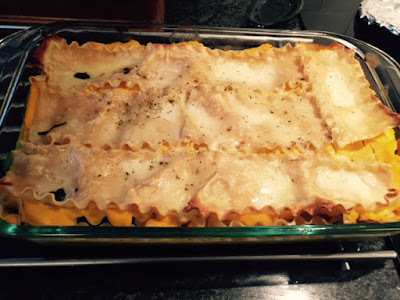 Prepare a baking dish - Grease the lasagna dish lightly with butter. Spread 1/2 of butternut squash filling on the bottom of the dish. Sprinkle lightly with mozzarella cheese. Top with cooked lasagna noodles without overlapping. 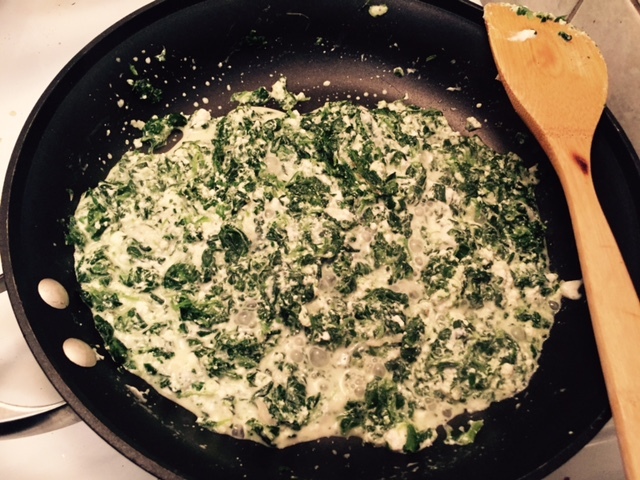 Spread spinach filling over the noodles. Top lightly with Mozzarella cheese. Top with cooked noodles. Spread another layer (1/2) of butternut squash mixture, then sprinkle lightly with Mozzarella cheese. Top with cooked noodles. Generously sprinkle the cheese with Italian seasoning, paprika, basil.